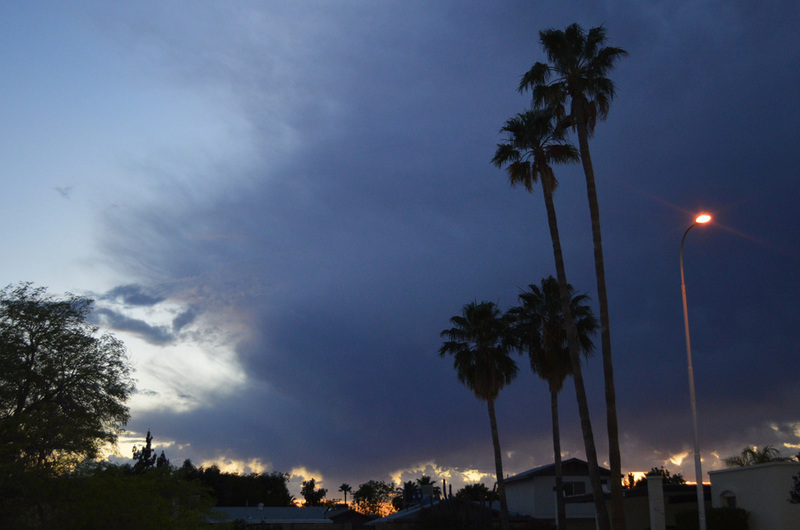 While the weather in Phoenix, Arizona tends to be straightforward most of the year - blue skies, sun, and major heat - sometimes storms are thrown into the mix. The storm could be a monsoon, a 10-30 minute downpour that temporarily floods the streets in the summer, a haboob, a thick wall of dust that travels through town, or even just your average rainstorm. The skies look the coolest during the calm before the storm, especially at sunset. Check out these photos taken right before a thunderstorm and you'll see why. Sunsets are also fun to edit. This photo was taken at the same spot, on a different night. Edited with Mextures app before uploaded to Instagram.